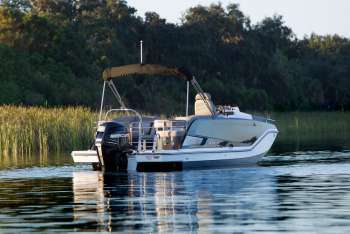 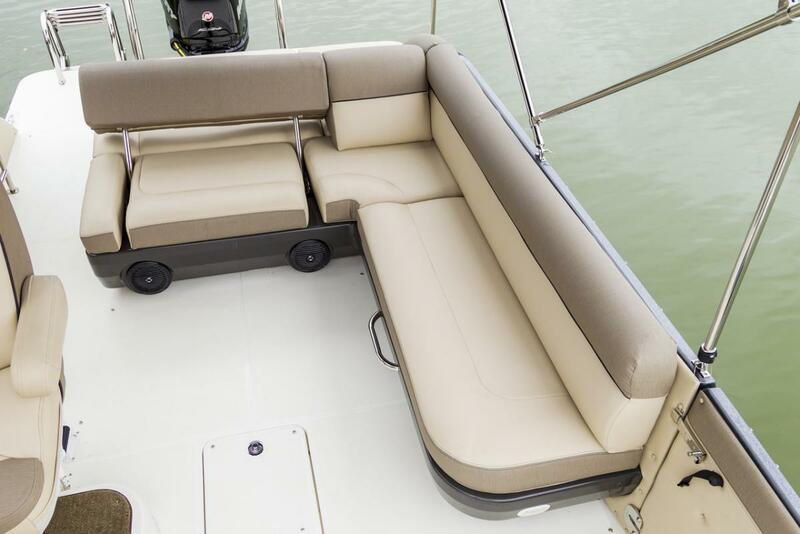 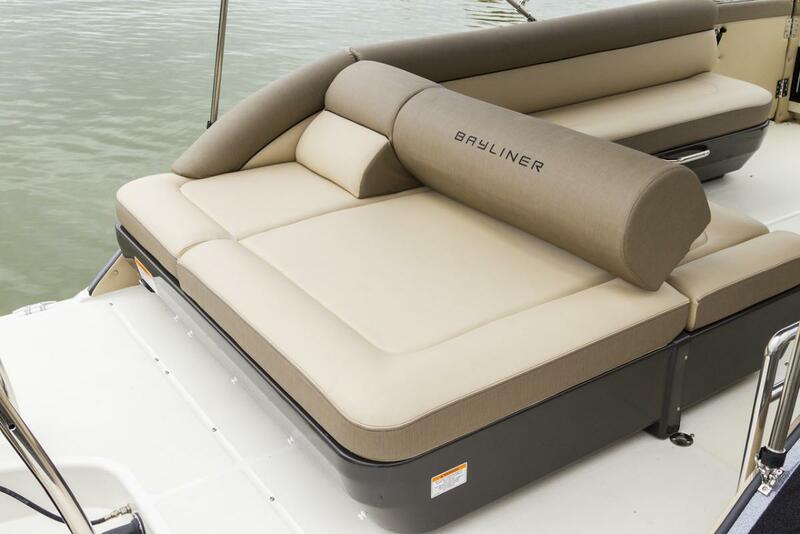 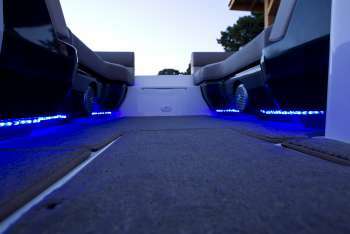 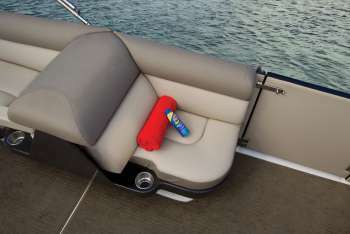 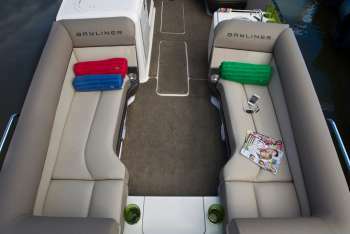 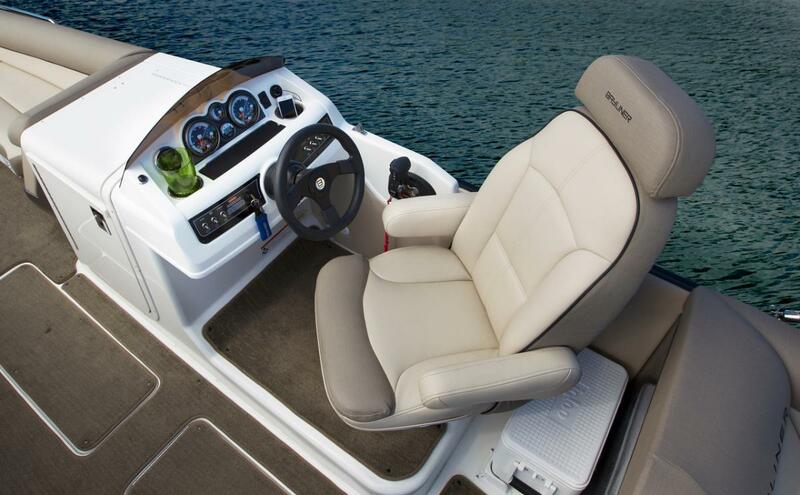 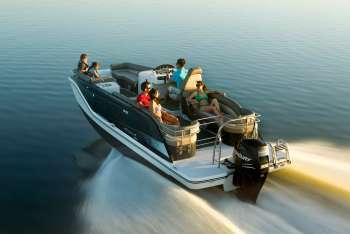 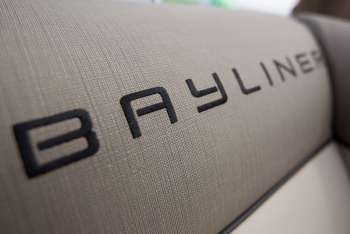 • Spacious deck layout with plush, premium-upholstered lounges forward and aft, companion and captain?s helm seat. 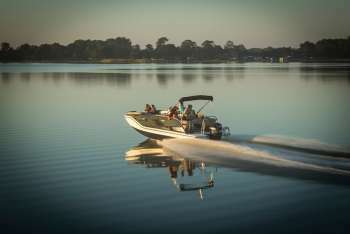 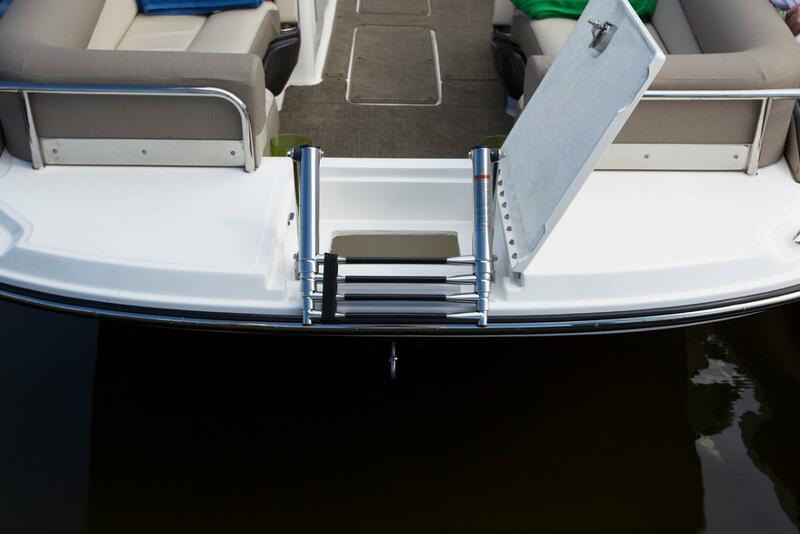 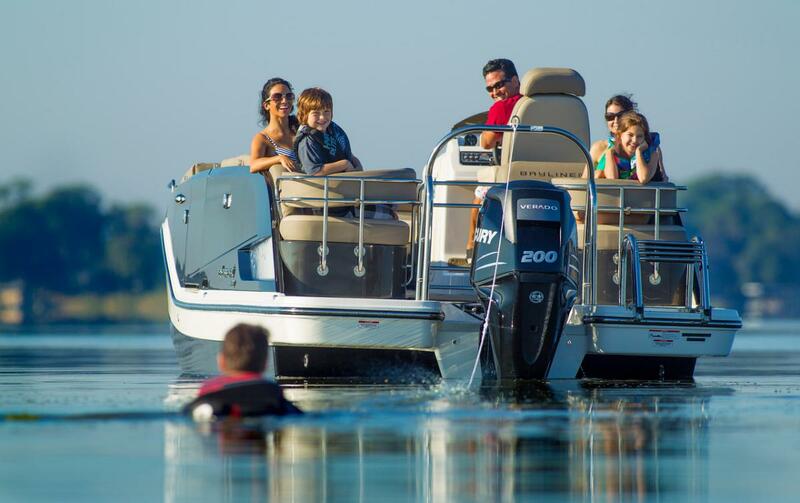 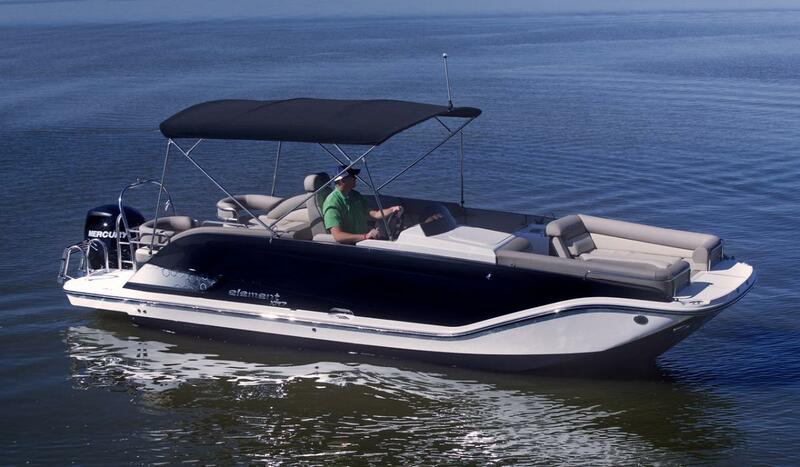 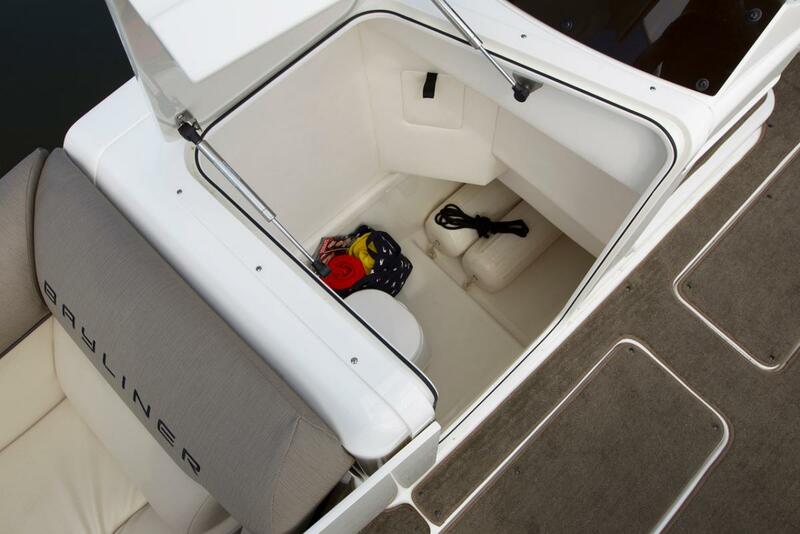 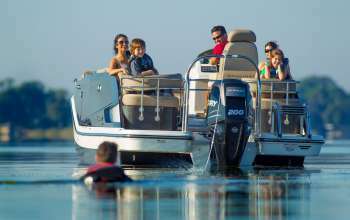 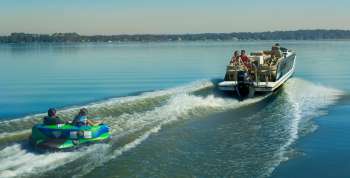 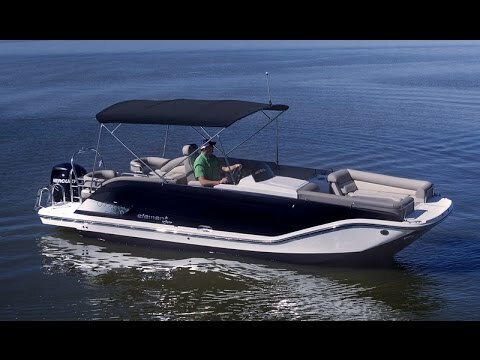 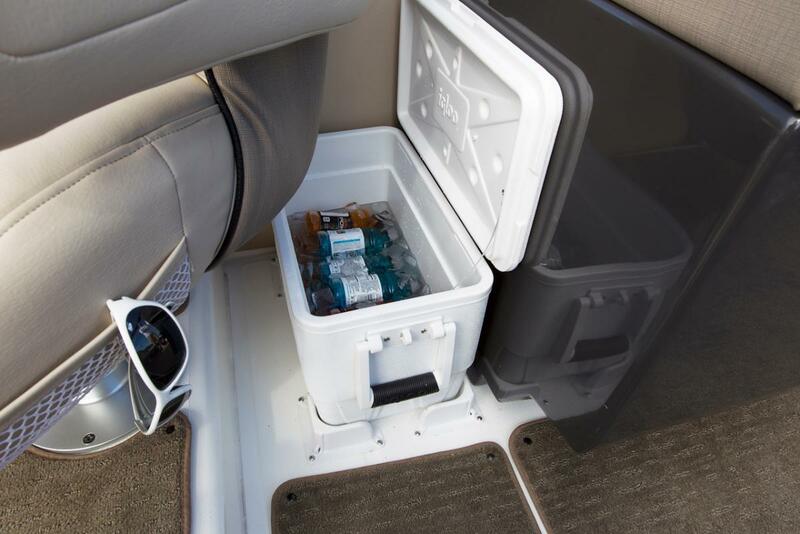 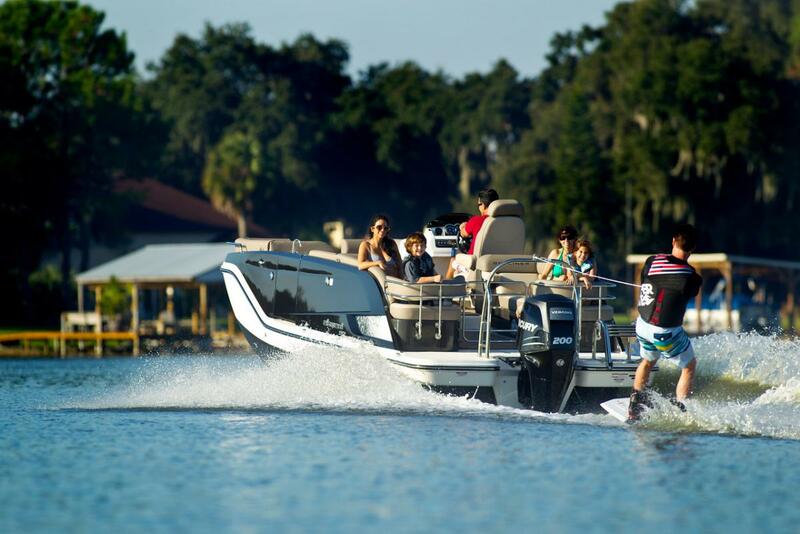 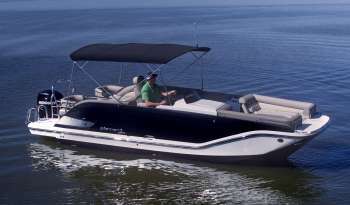 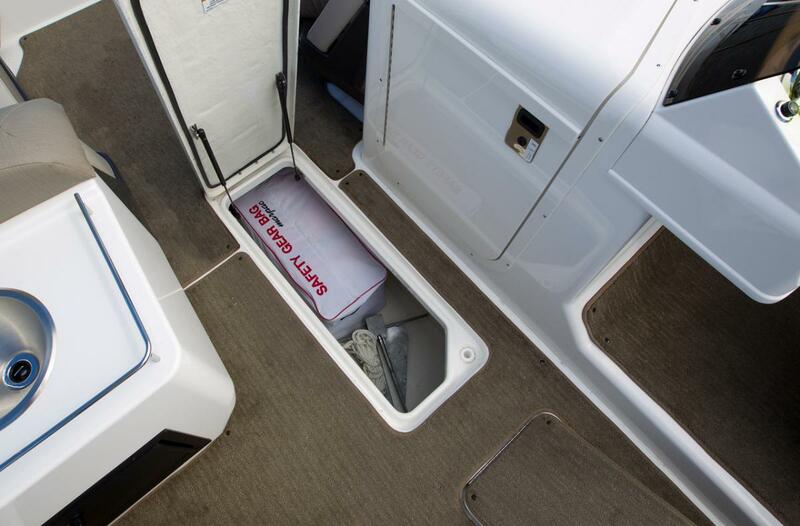 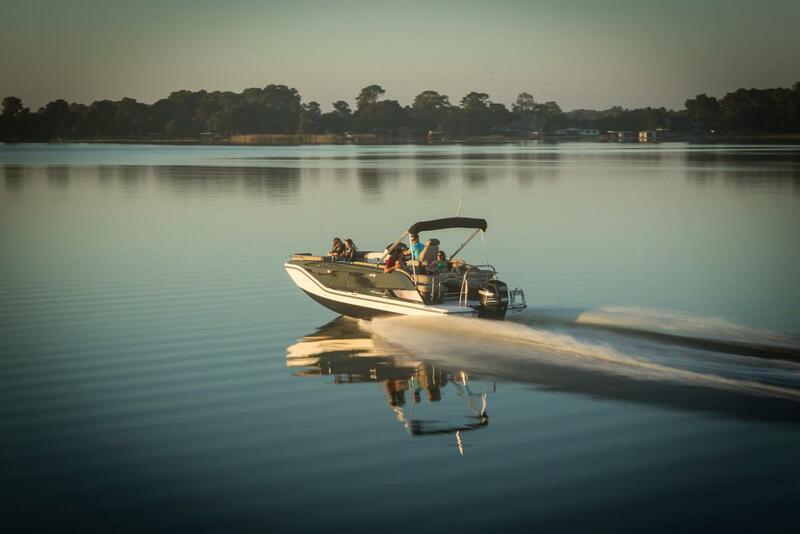 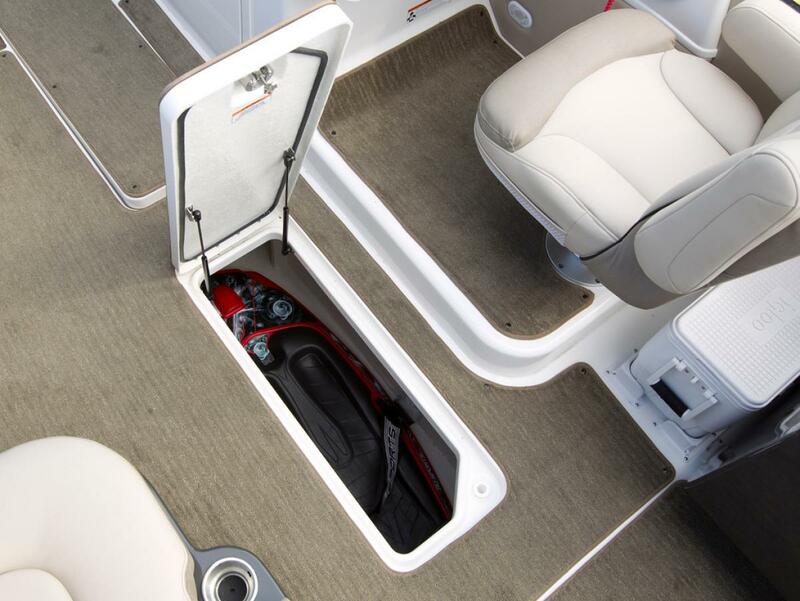 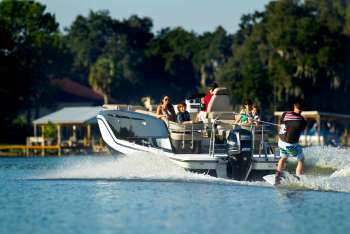 Deep freeboard and high gunnels keep passengers and gear secure with outstanding capacity for up to 16 passengers. 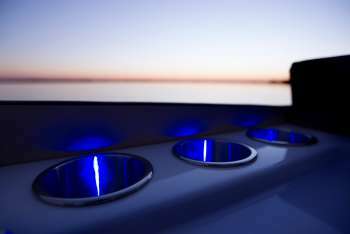 • M-hull™ design dramatically improves stability while on plane and maintains tracking throughout turns. 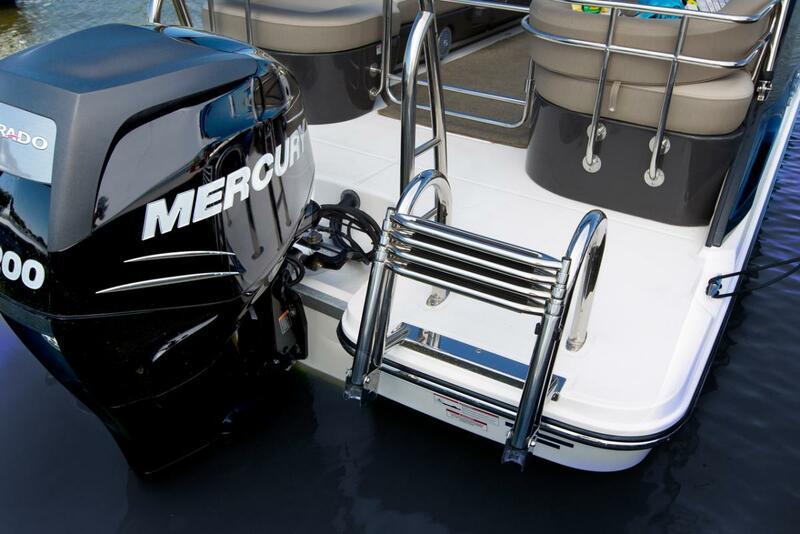 Ideal for rough or calm water in salt or fresh water environments. An ideal, trailerable, all-water boat.